This year the 16th annual Asia Superyacht Rendezvous will kick off with a sensational opening party aboard the beautiful phinisi-style sailing yacht Dunia Baru. Every year from December 16 to 18, the shores of Phuket welcome sail and motor superyachts to the Rendezvous from around the globe. The exclusive gathering of sail and motor superyachts is an event of charming Thai hospitality in a relaxed and sociable environment on and off the water. 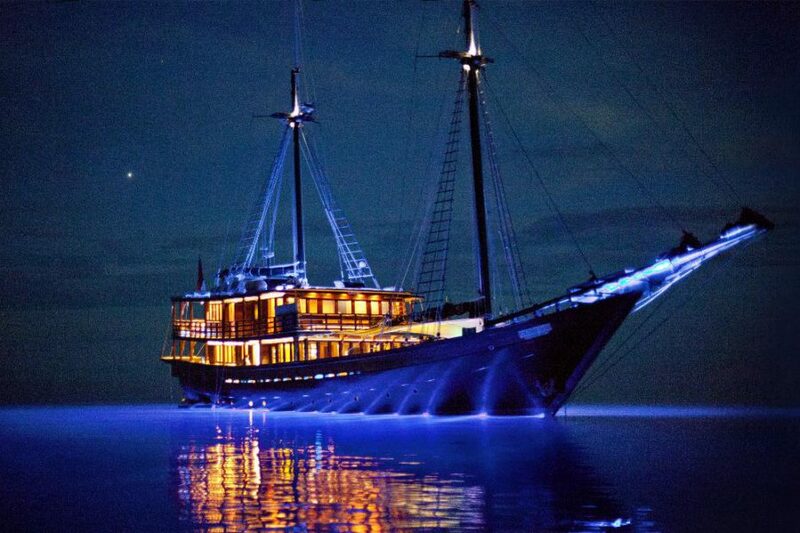 Luxury charter yacht Dunia Baru is the finest yacht to ever have been built in Indonesia. She was launched in December 2013, more than seven years after construction began, and while she is traditional in style, in reality, she is anything but. This 167’3” superyacht was designed by an American architect and handbuilt in Indonesian teak and ironwood by 20 master shipwrights from Borneo's Konjo Boat Builders, with her exquisite interior and first-class marine systems completed in Bali. Her sails were made in Thailand; her rigging is from the United Kingdom and her marine systems are to ABYC (American Boat and Yacht Council) standards, ensuring unparalleled levels of service and reliability. The phinisi-style yacht may be traditional in appearance, but she is the product of passion and expertise from around the world. Other highlights over the three days include the famed ‘Rendezvous Challenge’ model boat building & races with teams comprised of captains and crew (and hilarious to watch), the exciting land & sea ’Pirate’s Booty’ treasure hunt with teams made up of crews and families; and the VIP Gala Dinner the final evening at the event host hotel, the SALA Resort & Spa Phuket following the move from last year’s event host, Kata Rocks. The stunning resort will be the event’s host hotel and is outstandingly situated at Mai Khao Beach, which when combined with Nai Yang Beach to the south, is the longest stretch of sandy beach on the island, covering 9 km.